When I was vegan, many people assumed I mourned the loss of the beloved hamburger/cheeseburger. To be honest, I was never a huge burger fan, but when you cut something out of your diet completely you tend to automatically be drawn to find a replacement. Weird, but we always want what we can’t have, right? Then one day, quite unexpectedly, I stumbled across a recipe in a magazine (though I can’t for the life of me remember which one it was) that used veggie protein and fresh herbs, combined with the tartness of green apples and a heavenly creamy herbed cheese that sounded… promising. So in my small Somerville kitchen, in between the cooking schedules of my other three roommates, I whipped up said recipe and discovered… the Veggie Burger Promiseland. But do not despair! 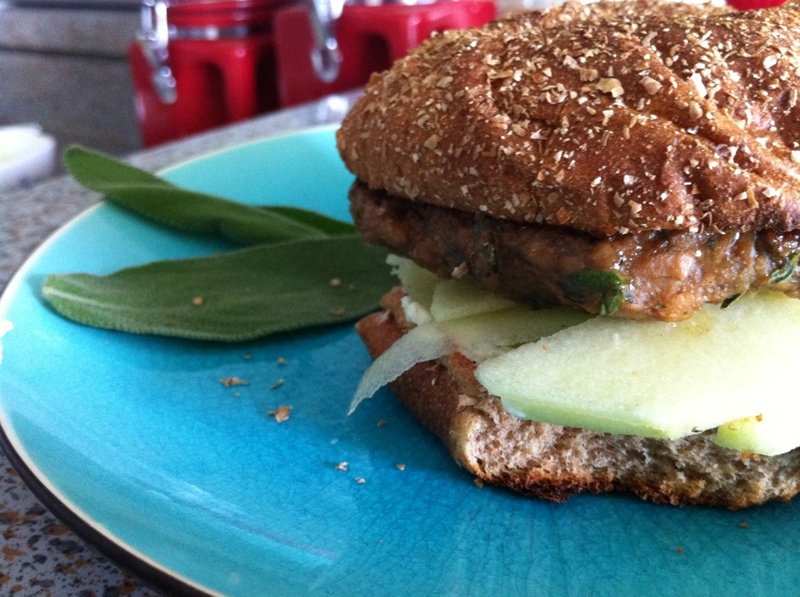 This veggie burger fairy tale has a happy ending! After years (literally) of dreaming about this burger, determination won out and I braved recreating the recipe I’d only made once before. The end result was, I am so very happy to say, a return to the Veggie Burger Promiseland. It was everything I remembered and more, because I’d added my own twists. 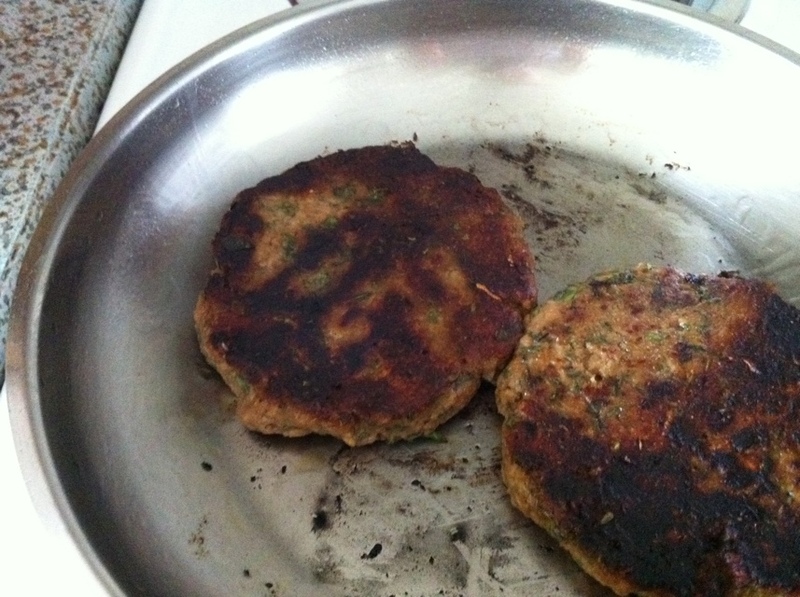 So for those of you who have patiently waited for the recipe for the Veggie “Bliss” Burgers, I give it to you know. I only hope they are as good for you as they are for me (love is blind after all). Directions: Combine burger ingredients in a medium sized mixing bowl with spoon or hands. You’ll most likely need to use your hands to truly mix everything together and form the patties, so don’t be afraid to get dirty early on. Once everything is combined, shape into 4 medium patties (about an inch thick). Cook the patties in a large skillet with just enough olive oil to coat the bottom of the pan, 2-3 minutes on each side or until nice and browned. 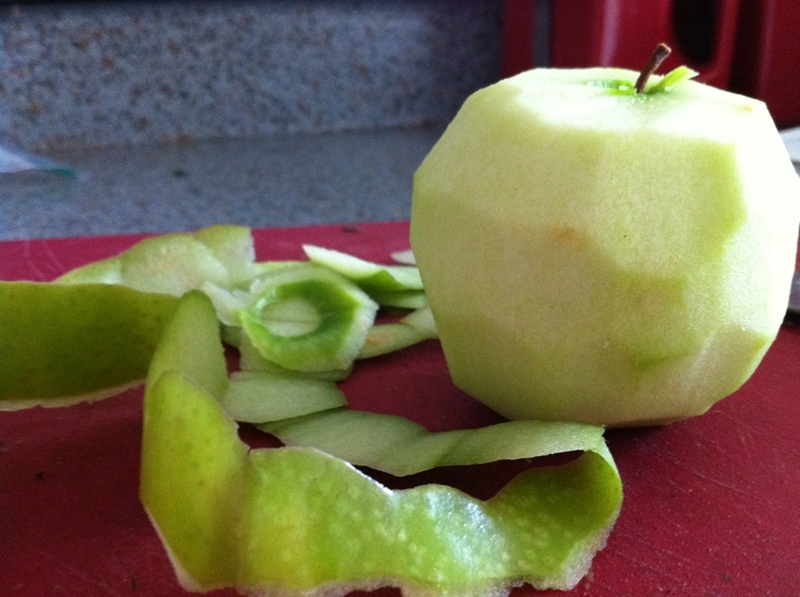 Put the apple slice (or shreds) in a small bowl as soon as they are cut and immediately add the lemon juice and toss the apples so the juice evenly coats the slices (prevents the apples from turning brown). Toast the burger buns in a toaster, stove top or grill; spread top half of the bun with a quarter of the Boursin cheese. 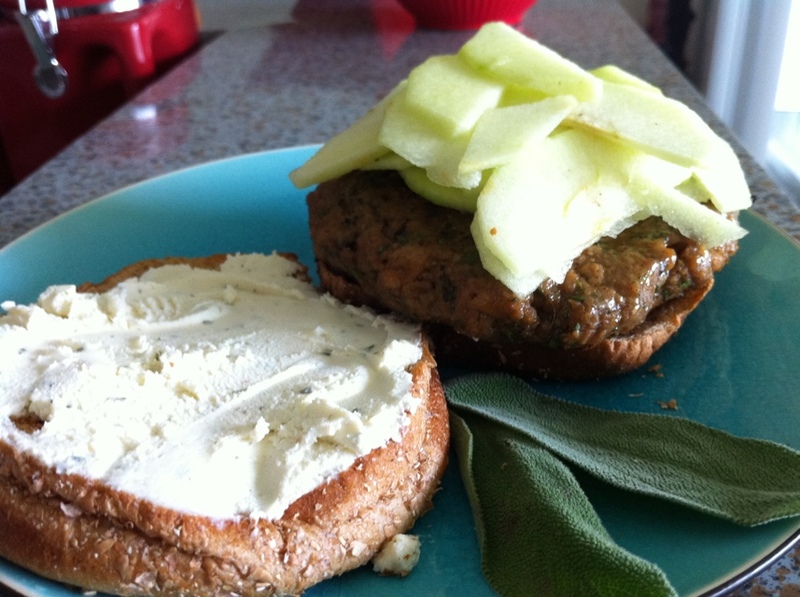 Assemble the burger by placing on the cooked patty on the bottom half of the toasted bun and add a pile (quarter of the apples) of apples on top of the patty; top with the cheese covered top bun. 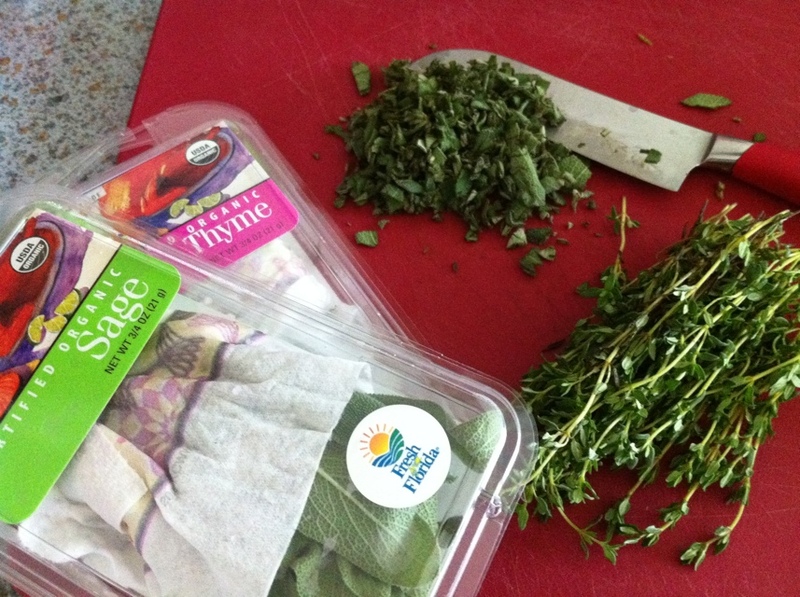 Have you ever recreated a long-lost favorite dish? Was it as good as you remembered? « Here’s to Double Rainbows and Resolutions!